Compelling content is what makes the difference. 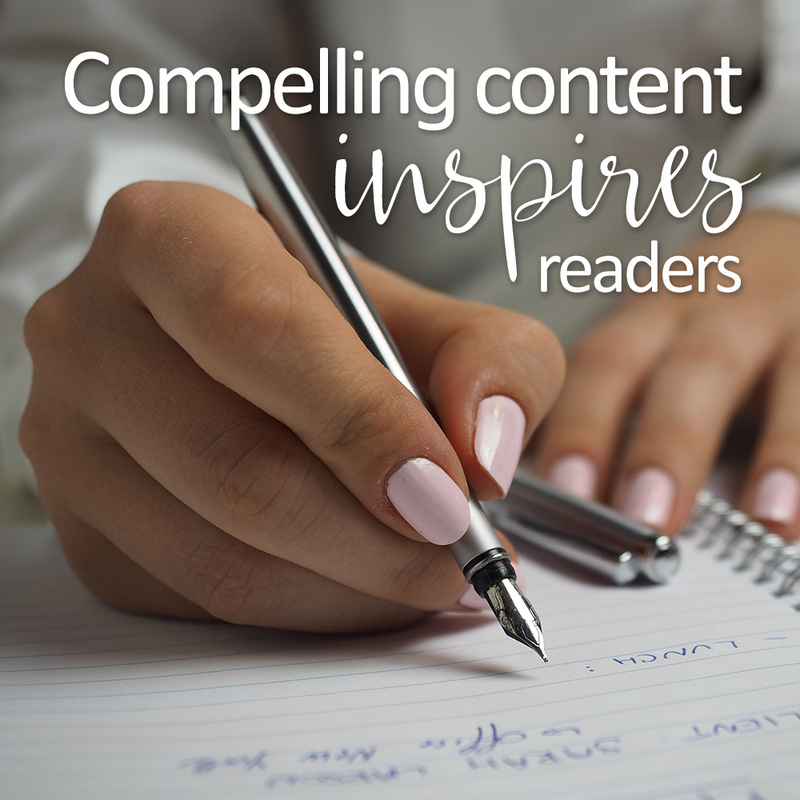 Compelling content helps your reader find a solution, and compells them to take action. When you regularly create compelling content and share it on your blog and with your email list, then your community will begin to flourish. And a flourishing community can often lead to an improving income. 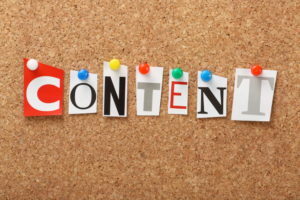 Compelling content serves a need. The best content meets a real need for your audience and connects with their problems. For example, if you’re a wellness coach that serves busy moms, then you know your clients struggle with making food that’s quick to prepare while still being nutritious. You could take this information and create a blog post about twelve healthy meals busy moms can make in their slow cookers. You could also share tips on how to use a food processor or blender to cut down on time spent in the kitchen. Once you identify a problem your clients are struggling with, create content that offers solutions. People aren’t looking for you when they type into Google, they are looking for solutions – offer the solutions, and they will find you. Compelling content has your personality. You know what problem your content is going to address and you have a few solutions to offer your audience. Now, it’s time to get started creating content. You may be tempted to share your solutions in a bland or universal way. Don’t make this mistake. Your unique style is your best asset. It attracts your audience and makes them think they’ve finally found a leader they’ll love following. Keep giving them more of what they want. But don’t leave this step up to your readers, listeners or viewers. Include a call to action at the end of your content. Ask readers to take one small step, like joining your email list or liking your Facebook page. You want to keep it simple here. Don’t ask listeners or viewers to take multiple steps or you’ll overwhelm them. Stick with just one call to action. Where Do You Find Ideas For Compelling Content? When it comes to creating compelling content, you don’t have to spend hours brainstorming ideas or researching topics. There are plenty of easy ways to figure out what topics will be the most useful for your community. I use these suggestions to jumpstart my creativity, I hope they will inspire your next content piece too. Many solopreneurs find Amazon amazingly helpful for content ideas. People are buying products – and products are solutions to a problem. You can get tons of ideas from the biggest online store. Amazon’s search feature, like Google’s, offers suggestions. Start by going to Amazon and typing your keyword into the search box. You can see the dropdown menu starts to offer suggested “next words.” This can be a gold mine of ideas about what people are actually typing into the search box. Knowing what people are looking for, lets you provide the answer. Now my other favorite Amazon method, is to make use of the book section. Look for books in your area of expertise. Books with an orange banner are best-sellers. You can use Amazon’s “look inside” feature to see the table of contents and a few sample pages. Scan the available preview and if any ideas jump out at you, write them down. Build upon these ideas, from your own unique perspective. Another great place to find inspiration is the podcast section of iTunes. The most popular podcasts will be in the top ten. Those are great, but don’t limit your research to just the top ten. Notice what topics these hosts are covering as this will show you what topics your audience wants to learn more about. 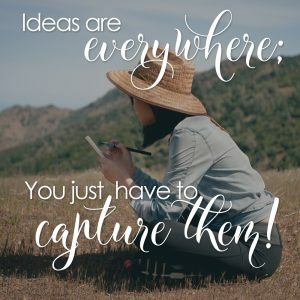 If something sparks an idea, be sure to capture it. But keep in mind how you could give the topic your own unique twist. Facebook Groups can be an awesome source of inspiration. Sign into your Facebook account and look for the search bar at the top of the screen. You can type your keyword then click on the “groups” link at the top of the page to filter the results to only show groups. If a group’s privacy setting is set to “open”, you might be able to see the latest posts. If the group is “closed”, you won’t be able to see posts but you can request to become a member. Once you’re inside the group, look around at the discussions members are having. Pay attention to what questions keep coming up and write a blog post that answers these questions. Don’t just join the group to “spy” you will likely find “like-minded” people in these groups that could lead to collaborations as well as content ideas. And finally, I love to use YouTube for research. Videos are a great way to see what topics other solopreneurs are teaching on in your niche. You can tell which videos are the most watched by how many views they have. The more views it has, the more popular the video is. When you are watching a video on YouTube, you see all the upcoming videos, this can also be a gold mine of information. There is a reason that YouTube is choosing to show you those videos, so that means that others will be shown similar suggestions, you just need to figure out your unique slant and get that video on YouTube. Every solopreneur has days when their creative tank is empty. When this happens to you, recharge your creativity by looking at what other content leaders in your niche are doing and sharing. Soon you will right back to creating and publishing compelling content. Compelling content is essential if you want to build a thriving community. When you regularly offer awesome content, your community will begin to trust you and look to you for guidance. I would love to know what methods you use to create compelling content, if you are willing to share them in the comments below. Want to Journal? Hate to Write? 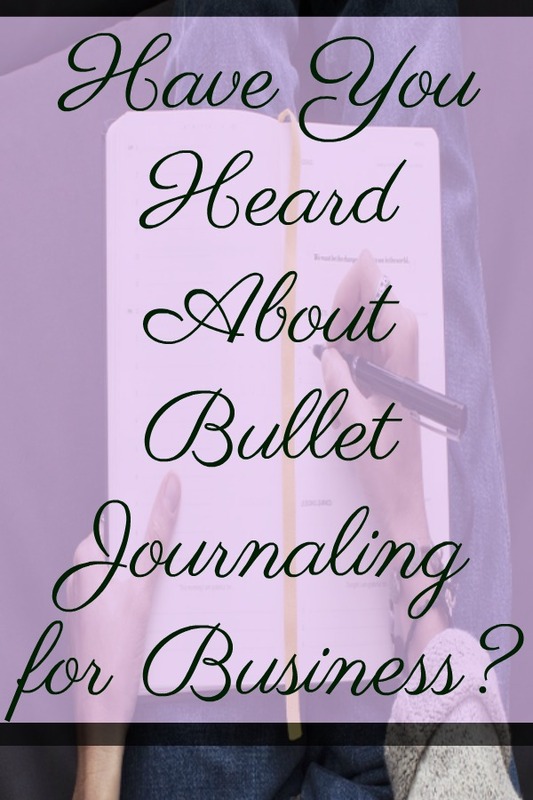 Journaling is a powerful self-help tool that is gaining popularity in business. 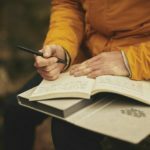 Coaches and therapists are also using journaling to help clients, so you may want to consider it for yourself and your business. It is also incredibly easy to journal on your own in just a plain notebook. However, all journaling has one thing in common and that is writing. So how can you enjoy all the benefits of journaling if you hate writing? If you learn anything about me, know this I can’t really draw – what I see in my head never looks like that on paper. But if you are artistically inclined, you can draw from simple pictures to elaborate scenes. Any kind of picture that expresses your emotions and situation will help. After you’ve drawn the picture you can label and annotate it. If you leave a blank page opposite your drawing then you can come back and review it at a later date and jot down any additional thoughts, emotions and responses. Quite often this simple method will actually get you writing quickly. And I love color, and if you do too, you may want to consider colored pens or pencils. Like I shared in my previous post where I updated my progress with my bullet journal, I purchased a journal with a stencil set – you may benefit from using stencils with or without those colored pencils. All of these shapes and colors will hopefully make your journal feel more personal to you and that will make you more likely to use it. If you are journaling about a problem, then you might consider using a diagram such as a mind map or decision tree. Diagrams are powerful because they are visual and help you to see patterns and connections more easily. 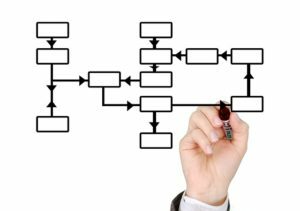 If you think about a flow chart that is using shapes to have different meanings, the concept is the same here – but you don’t have to limit yourself to just the traditional shapes of a flow chart. If you are trying to make a decision, then you can illustrate the different outcomes and results to help you formulate the best decision. Adding in color not only makes them more attractive but can help to highlight connections. I know that when I started journaling, I started with a gratitude journal, and so I was trying to right down what I was thankful for each day – but some days were harder than others to get started. Then I learned about journal prompts, I had never heard that term before, but the concept is so simple. You use a simple prompt, such as a word or question, to help break the blank page syndrome and inspire you to unburden yourself onto the empty page in front of you. The prompts can be about any number of topics, so you don’t have to have just a gratitude journal, like I mentioned before. For business a great prompt for the first of the month is to write down your goals for the month. How much income do you want to earn? How many new followers do you want to attract on social media? Then you can also build on these ideas for other days topics. It’s important that you don’t feel that you have to write a lot or even in full sentences. The journal and act of journaling has to relate to your needs at that moment in time and this will vary day to day. You can also use charts and graphs, instead of just writing. 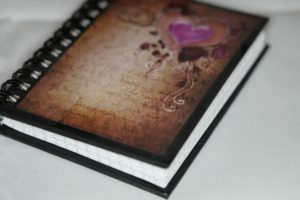 You could consider purchasing a journal ready made for the specific use you need. 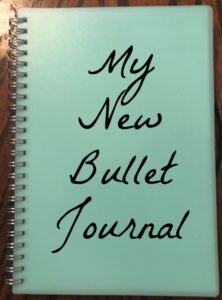 There are lots of weight loss, gratitude, happiness and other journals available. Many of these will include prompts and recording methods that don’t require lots of writing. I like this project, because I feel like it has good green living implications. 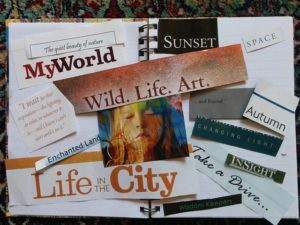 Get some magazines or newspapers and cut out words, phrases, paragraphs or even articles that relate to your situation or emotions at that particular point. Add in pictures that you find that could demonstrate how you are feeling or want to feel. To make it more personal you can annotate the articles and pictures. 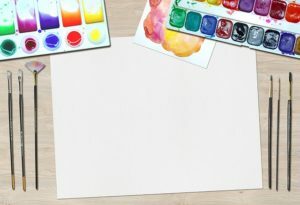 Consider also leaving a blank page so that you can revisit and review at a later time and add in additional journaling. Journaling does not have to be undertaken every day for a set period of time if that does not suit you. 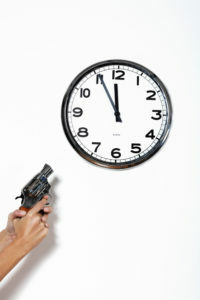 Many people journal every day for 20 minutes as that is the method that suits them best. However, it may be that once a week is enough. This is one of the reasons I love the bullet journaling system. I feel like I can use it as a planner and tracker, but it can also be a place for me to journal out my thoughts and feelings when I need to. You will also notice that most of these alternatives to writing work great in a bullet journal. If you want to learn how to use bullet journaling for business, please check out my course on the topic here. I recently participated in the Laptop Lifestyle Business Bundle (it is now over) and I learned a few things. Even with testing, things can still go wrong. I created a special link for the participants of the bundle to be able to download the product for free, since they had already bought the bundle. I tested the link, I had my sister test the link, and Angela Wills, who runs the Laptop Lifestyle Business Club, also tested the link – no problems. The bundle goes live and from my tracking I see that I had a couple of sales from the link for the bundle – unexpected. I contacted Angela with the emails of the purchases I was concerned about and she verified they had indeed purchased the bundle, and she checked the link again, everything was okay for her, but obviously there was a glitch somewhere. I was able to refund the money spent right away, and let those who made the purchase that they indeed did not owe any money. And a big shout out to the folks who were interested enough in what I had to offer that they were willing to pay more to get access to my offering. Thankfully, Angela is a very smart lady and she had a work around, that we had up and running very quickly, problem solved. She emailed those who had already purchased the bundle so that they could try again to download the product. So even though you think everything is okay, there can still be problems – but they are fixable. My expectations were exceeded – in a very good way. My email list was increased by over 150 new subscribers, and that number is still growing even though new sales of the bundle have ended, those who purchased have 60 days to download their products, so it may continue to grow even more. My actual goal when I joined the bundle was to increase my email by 50 people, that happened the very first day J. I then hoped for 100 people, again that happened by the 3rd day – so now my updated goal is to have 200 new subscribers by the end of the 60 days. By the way, this was a great problem to have – exceeding my goals too quickly. The quality of the person offering the bundle matters. This bundle was the first one that Angela Wills had ever offered, and she made it exclusively products from her community. She freely admits that she had no idea how much work was really involved when she hatched the idea, but she was also so wonderfully excited for the bundle and for the members of her community, that includes me. Each month in the club, Angela offers us an actionable challenge to help us grow our business, and I have to tell you, the steps she gives us really do work. If you would like to be a part of the Laptop Lifestyle Business Club, you can check it out here. 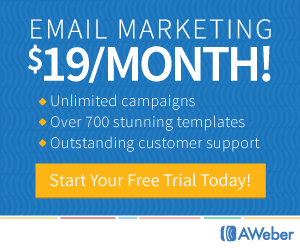 If you are interested in learning about email marketing, the club is the right place for you – Angela is amazing at email marketing. Product creation is a must. To be able to participate in this or any bundle or giveaway, you must have something to offer. In the case of the Laptop Lifestyle Business Bundle, Angela helped to guide us towards product creation, so we could be prepared, but most opportunities will not be so guided. I was planning on my next product already, but I realize, I should be creating more products more often – not at the risk of quality of course. The more ways people can find you and what you have to offer will only help to grow your business. I even created a quick product last night that I’m extremely proud of, now I just have to finish the sales page and I will have it up for sale – I feel like I’m in the “Product Creation Zone” – you have been warned – lol. The final lesson is of course, say yes. When I was offered the opportunity to be a part of this bundle, I said yes. I filled out the information and sent it in before I could think of a million reasons why I should not participate. Remember to be open to growing your business online, you will be offered different opportunities, be prepared to say yes to the ones that fit you and your business. I hope to see you in the Laptop Lifestyle Business Bundle next year when you join the Club. What is Momentum and How Can It Work to Get You Organized? If you are looking to get organized this coming year, start now, and use the power of momentum propel you into the new year, more organized and more successful. The scientific theory of momentum can work in your own life to help you reach goals. The same facts which can lift a jet plane off the ground can lift you out of a stagnant life and put you in a world where positive things happen and you reach the success you desire. Have you read Mel Robbins book: The Five Second Rule: Transform Your Life, Work, and Confidence with Everyday Courage? Creating ongoing content for your blog seems to be a challenge for most online business owners at some time or another. The easiest way to overcome this challenge is to have a plan. I have gone through several courses myself to help me get over the content creation challenge myself. Truly, it was simple, but profound solutions that seemed to help the best. One common theme was to create a content grid of topics – 50 to 100 topics on your grid just to get started. I really struggled with this. It made me feel like I didn’t know my subject matter. (but I really do) The bottom line was initially the grid didn’t seem to help me. I have been using Last Pass for several years. Last Pass is a password manager, that means you only have to remember 1 password instead of many. It can also help by creating unique passwords for you. You put your business at risk if you use the same password on all your logins, this system makes it easy to get unique passwords for all your logins and make sure you can remember all those passwords. By only having to remember one password, your brain can be free to remember other more important things. I’m going to date myself a bit here but bear with me. Long ago, we all used to have to remember people phone numbers. If we couldn’t remember we had phone books, large ones from the phone company, smaller ones next to our phone at home and even smaller still to carry around in our purses. Then phones started getting smarter, you were now able to program up to 10 phone numbers in your phone, such convenience. Of course, nowadays with real smart phones, we have our ‘phone books’ with us all the time. The concept of Last Pass is the same, we have our passwords with us all the time. I do still have my old password book – because every so often I will find that I have missed adding something to Last Pass, but it really is just a dust collector at this point. A feature I haven’t really mentioned is the fact that you can add an extension to your browser on your laptop and I also have Last Pass installed on my phone and my tablet. It goes without saying that once you change a password, it is saved to all your devices automatically. And the best part of all is that it is free. If you wish to upgrade to their premium service it is only $12/year, but the free version will be enough for most folks. There are other password managers out there, but I have only ever used this one, and I have never had any reason to look elsewhere. If you want to do more research just google, but make sure you use a system, as your business grows you will have more and more passwords to remember, you do not want to use the same password over and over. 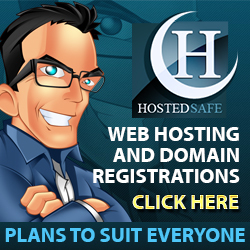 Last Pass also has the option to allow you to seperate which logins are for business and which are for personal use, creating a more organized life yoru for you. 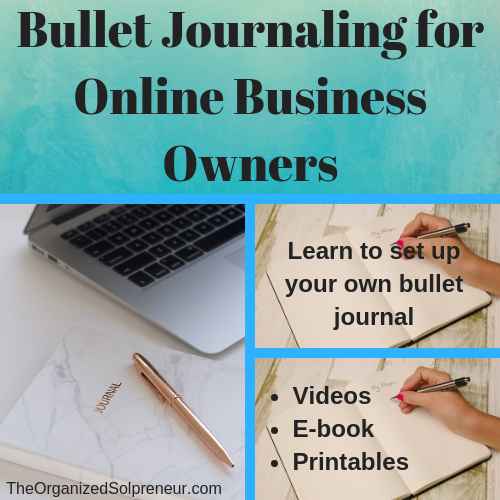 I’m Lori Winslow, the Organized Solopreneur. I help solopreneurs get their business and their life organized. 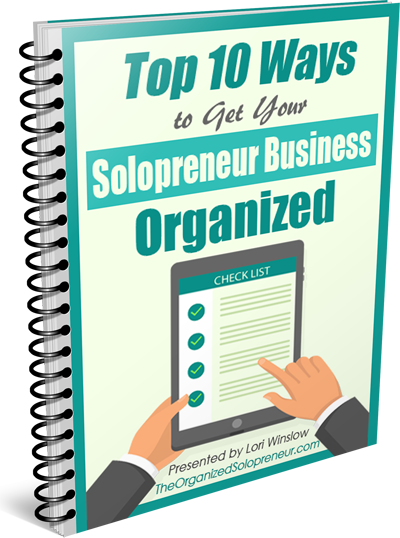 To get started, pick up a copy of my Top 10 Ways to Get Your Solopreneur Business Organized.